In order to become a corrections officer, you need a positive outlook and an ability to think on your feet. You have to have a calm demeanor and be a problem-solver. One of your main duties will be to promote change in inmates' behavior, which you will accomplish at least in part by demonstrating good behavior on your own part. You have to be able to work in a sometimes hostile environment, withstanding verbal abuse and threats in a neutral manner. It is an exciting and challenging environment. The applicant is expected to be, in short, mentally and physically strong. Find out today what schools offer associates degrees in corrections. It is a challenging occupation full of interesting stories. You meet all different types of characters who have made mistakes in their lives. One of your chief duties will be discipline of inmates. The job includes supervising of inmates to ensure that they are behaving in a safe manner, searching them and their cells for dangerous contraband, searching their mail for safety threats, checking door locks for security violations and making reports about prisoners' behavior and the general safety and morale of the facility. As you will be working with inmates with different cultural backgrounds, you will need to be able to communicate effectively with people who have limited language ability in English. As the career progresses there will be more of a chance to work outside of the jail setting, for example escorting prisoners to court, supervising visits to parole hearings and such related duties. Start your AA degree as a correctional officer from an accredited school below. In corrections, there are three levels of prisons in which to work, and these are municipal, state and federal. There are different kinds of jobs available but initially the new worker is likely to expect to be immersed in a jail environment. You can expect to gain higher ranks faster if you hold a criminal justice degree or similar qualification. However, generally speaking, a degree in criminal justice is only needed to start in a federal institution. The minimum requirement for starting the majority of jobs in corrections is a high school degree, and a clean criminal record. Military experience also helps in gaining you entry into the corrections field. It is important to note that education does not in the long run (generally) affect your salary corrections officers who hold a high school or GED degree do not make significantly less than applicants with degrees in criminal justice. Generally speaking, positions in federal institutions pay better than state, which pay better than municipal. Benefits, including paid vacation, are also included, which makes the job a secure and well-paid one. 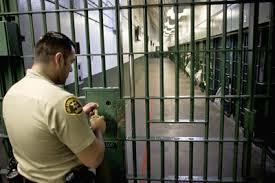 Moreover, corrections officers are in high demand, so job security is an added bonus. As a corrections officer you have the benefit of working in a stimulating environment, working with interesting people from different backgrounds, and enjoying an above-average wage with benefits. It is an occupation definitely worth considering. Before you enroll in any program you’ll want to first fully understand what courses are needed for the career you want to pursue. Your general education courses will most likely be the same but when it comes to your core courses you’ll want to make sure you take ones that will help you with your new career. If for example you want to become a police officer years from now then you’ll want to enroll in a school that offers you the ability to transfer your Associate’s degree courses to your bachelor’s degree. Criminal Justice – Learn about the criminal justice system and how it relates to being a corrections officer. Probation – Go over all the different levels of probation for those who were convicted of a crime but not currently serving jail time. Society – Be taught the role corrections have had on our society and how it was designed to protect everyone. Learn how society has changed over the last decade and how corrections had to change to deal with these changes. Juvenile Delinquency – Learn the importance of dealing with and correcting juvenile behavior early on. Crime in the US – As crime continues to increase so does the need to train and hire qualified corrections officers and personnel. Learn about the different types of crimes committed in the US and how our corrections system plays a role with any type of crime committed. Terrorism – Ever since 9/11 we are a country that has been on the defense. Learn the rules and laws that have been put in place to deal with terrorism and terrorist. When you think corrections you might just think about becoming a corrections officer but the industry is needing to fill so many different supporting roles. Bailiff – A bailiff typically works in a court room and protects those in court including the judge. They maintain peace in the courtroom as well as handle documents and even evidence to show jury members. Parole officer – An exciting career that many apply for after graduating with your Associate’s degree in corrections is that of a parole officer. You’ll be responsible for supervising those who have committed a crime and currently serving on parole. They must check in with you sometimes on a weekly basis and you’ll be responsible for even administering drug tests and following up with employers. Correctional Officer – Join one of the 425,000 that currently serve as correctional officers nationwide. If you are physically fit, former law enforcement or have any previous military experience then you’ll be a great it for this career. Special Investigations and Private Investigator – You can work both on the private or government side of the industry. As a special investigator you’ll take on special assignments related to missing persons, drugs or even cybercrime. Case Officer – use your interviewing skills to access risks and needs of others. Review previous case work documents to view progress and report finding to corrections or parole officers. Booking Officer – Being a bookings officer at a jail involves the processing of new inmates as well as the releasing of others. You’ll be responsible for taking finger prints as well as processing the paperwork for each inmate. Bail Bondsmen – When in jail often you are released on what they call bond. By being bonded out you are required to come up with a sum of money as a deposit for being released. Often these amounts are high and one can use bail bondsmen to put up the cash. As crime continues to rise and the need to incarcerate people has also increase so has the demand for corrections officers. It is projected that the industry will continue to increase 4-6% over the next 15 years. Law enforcement officers make approx. $53,500 per year, corrections officers $40,750 and bailiff’s $38,500-40,000. We recently interviewed a former corrections officer from Cocoran Prison in California to give us an account of what a typical day is like at the prison. Question: What were you typical working hours? Answer: Early on in my career I worked the graveyard shift and got to work around 8pm and got off at 5am. After getting promoted and volunteering for other shifts I was given the opportunity to work the day shift which I worked for the last 10 years of my career. Question: What was your typical day like? Answer: A typical day would start by walking the fence and conducting searches on the yard. We focused mainly on the yard as that is one of the few times where groups of people are together. Burying weapons and transferring them among inmates is common in the yard. We also would randomly do shakedowns of cells. Here we would find contraband as well as make sure the cells are secure and working properly. Question: What type of training did you have before becoming a correctional officer? Answer: I went to school originally to become a police officer. I received my Associate’s degree then I got injured in school. I still wanted to have some sort of role in the industry and applied for a position in my hometown. Question: What do you like most about the career? Answer: It is a very rewarding career for sure. I’ve learned a lot during my tenure and have actually been able to complete another Associate’s degree.